Getting away has never been so easy—or exhilarating. For parents and their kids, a robust mountain and all the amenities are just a few steps away. Before long, the whole family was hiking into the gladed Windows, tackling the double blacks off The Outback and venturing into the North and South bowls in a foot of new snow. The kids are now eagerly eyeing an assault on the acclaimed, 66-acre A-51 Terrain Park, where they’ll be able to watch park superstars ranging from Andreas Wiig to Simon Dumont, just two of the high-flying regulars who have made A-51 their home base for training. For diversions, the Penningtons can spend afternoons tubing, skating, taking a free yoga class or just hitting the outdoor pool and hot tub at Lone Eagle. In case there is anything left in the tank at sundown, Keystone spins its lifts until 8 p.m. on days when night skiing is offered. When instructor Green volunteers for kid duty at night, the Pennington parents enjoy sampling Keystone’s award winning-cuisine, including the mountaintop Alpenglow Stube, Ski Tip Lodge and The Keystone Ranch. If your vacation priority is to enjoy a magnificent corner of the great outdoors in self-contained bliss, Keystone is the answer. There are a half-dozen linked neighborhoods to match every need in accommodations (East Keystone, River Run Village, Mountain House, Lakeside Village, North Keystone and West Keystone). Its centerpiece is the cozy, mining-themed River Run Village, chock-full of shopping, dining and après options. A new, state-of-the-art, eight-passenger gondola opened to rave reviews last winter (and gets easier this season with the completion of a skier’s bridge across the Snake River). The gondola, with floor-to-ceiling windows, carries skiers and riders in comfort to the 11,640-foot summit of Dercum Mountain and serves as the gateway to North Peak and The Outback. As for the Penningtons, they won’t be taking another Keystone “vacation.” Why? They’ve been so impressed and inspired by their visits that they decided to buy property in Summit County and make it their primary home. Local Knowledge: To be first in The Outback on a powder day, get an early start on the River Run Gondola and then proceed directly to The Outpost Gondola. Or, if you’re skiing down to the base of North Peak, try Diamond Back or Mine Shaft–one of which is usually groomed—as an option to Mozart. At the summit of The Outback lift, don’t miss the cell phone tower masquerading as a lodgepole pine. Head for The Black Forest or hike or ride a snowcat to the North and South bowls. When the rest of the ski population catches up, work back against the traffic to the frontside: Stop at LaBonte’s Cabin for delicious smoked BBQ and a lively beach scene. On Dercum Mountain, check out the world-class action in the A-51 Terrain Park and then seek out the tree shots off Go Devil; don’t miss The Slot. What’s New: Last season, Keystone opened a new state-of-the-art, eight-passenger gondola in River Run Village. This season, the final phase of the project will be completed with a new skier bridge connecting the mountain to the gondola. Alternative Activities: One of Colorado’s best tubing parks is at the top of Dercum Mountain at Adventure Point. With a good pitch and long runout, the park’s four tubing lanes deliver fast fun and entertainment for the entire family. Snow biking and slopecycle are also available. Enjoy ice skating on Keystone Lake, voted one of the most beautiful outdoor rinks in the North America. Or take a scenic sleigh ride to explore the rustic side of Keystone. The enchanting one-hour tours, led by knowledgeable guides, take guests through the crisp air of the Soda Creek Valley and include a hot cider stop at the original Keystone homestead. Guests staying at a Keystone Resort-managed property receive the Adventure Passport, which gives them free or discounted access to these and a host of other activities, ranging from yoga classes to wine tastings. On-Mountain Fuel: It takes at least three visits to appreciate the breadth of The Outpost. Stop in for breakfast or lunch at the Timber Ridge Food Court for its Pacific Rim-infused offerings; try lunch or dinner at the Alpenglow Stube, the highest AAA Four Diamond-rated dining experience in the country; and enjoy an evening of Swiss-style charm at Der Fondue Chessel. 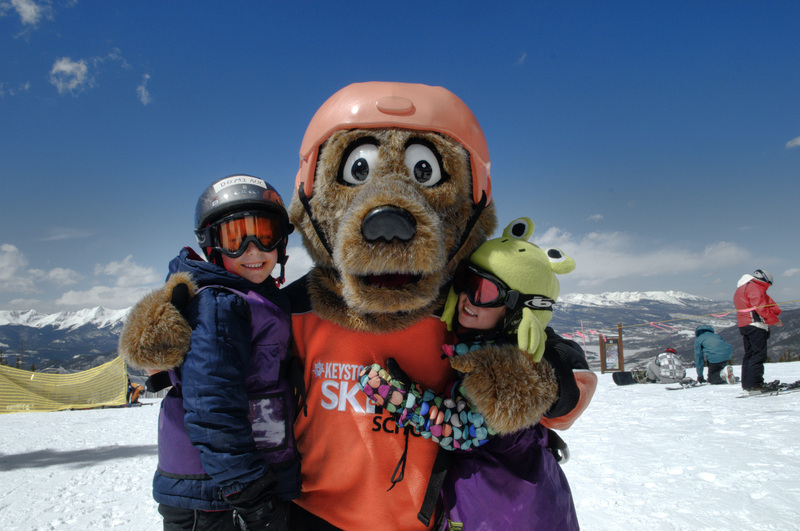 Signature Events: Keystone launched its first Winter Culinary Festival last season. Designed to offer information on culinary trends, wine and cocktails while spotlighting the resort’s award-winning restaurants, the March 5-7, 2010, event will include seminars, tastings and the ultimate Grand Tasting.